Nueva Ecija Cong. Magnolia “Megan” Antonino has thrown her support to the senatorial bid of Christopher Lawrence “Bong” Go, the special assistant of President Rodrigo Duterte. 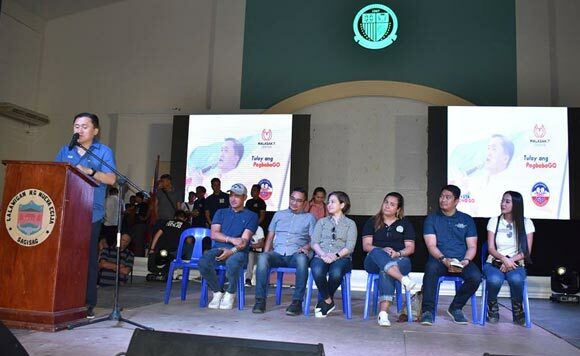 Go is among the senatorial candidates of Duterte in the upcoming May mid-term elections, under the Partido Demokratiko Pilipino Lakas ng Bayan political party. In a December 2018 survey by Pulse Asia, Go did not make it to the possible winners, if the senatorial elections were held at the time. Despite his resignation from Duterte’s Cabinet due to his candidacy, Go is still seen accompanying the Philippine leader in most of his official functions and trips.